During this week, I’m putting the spotlight on some of my favourite female authors. These are the ‘Renaissance Women’ that not only write amazing books, but who are also legendary in their own right: making statements, fighting for causes and dazzling us with their wide range of talents. Check out yesterday’s post on the amazing Jessica Bell. Today is all about Suzanne Lazear, author of The Aether Chronicles. 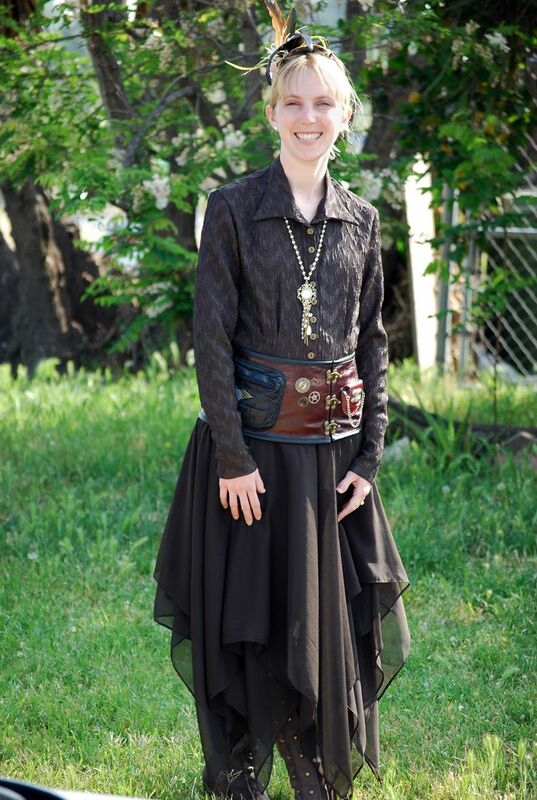 Suzanne is the Queen of Steampunk- who else writes about STEAMPUNK FAERIES? So much awesomeness in one book. If you’re unsure about what Steampunk actually is, she explains it nicely here. She’s a writer for my favourite Steampunk blog, Steamed, which features some very helpful posts about writing. I love all the allusions to other works such as Alice in Wonderland that Suzanne subtly works into her books. She put together a street team to promote The Aether Chronicles, called The Airship Squadron, of which I am a proud cadet. It’s such great fun taking part in her secret missions and entering competitions to win fabulously unique prizes such as mini top hats! You can apply for a place on board here. She travelled to 22 countries before she was 22! Find her on: Her website, blog, Twitter, Facebook, Pinterest. Have you read Innocent Darkness or Charmed Vengeance yet? Who are your top author girl crushes?